Some of the security measures highlighted below are in place by default, and others can be activated based on the security level you need. Please visit liqnet.com/account/security/ to check the security status of your account and see recommendations. Add an extra layer of security to your account and protect sensitive operations such as logging in, generating API keys, and withdrawing. Configure two-factor authentication using Authy, Google Authenticator, Twilio, or Clef. Limit access from your API keys based on IP address. Create API keys with advanced read/write permissions on a per-feature basis. Unleash the full power of the platform through our WebSockets APIs. The overwhelming majority of system funds are stored in offline, cold wallets or online multisign wallet addresses. Only approximately 40% of crypto assets are accessible in geo separated hot & conditionally-hot wallets for day-to-day platform operations. 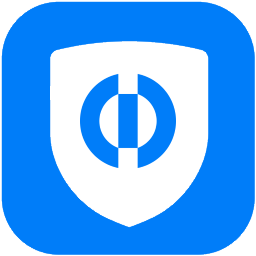 As an added protection, the cold wallets are not available from the platform or the platform servers. The funds in offline cold storage and multisign wallet addresses require manual intervention by several members of our management to access. Special non-exchange intranet system routes funds between geolocations. Special service in each geolocation routes funds between hot, conditionally-hot, cold, multisign wallets. Always up-to-date Linux systems to host the platform: Our servers network is protected using always up-to-date software and the best possible practices. Database Cluster + Automatic backup of the database once a day: Once a day, the database of the platform is backed up, encrypted and compressed as an archive. Duplication of backup data automatically: As as a new backup is ready (database, log files,...), it is sent to others servers in several geo locations. Protection from DDoS attacks: We are protected by automatic Distributed Denial of Service protection to ensure that trading cannot be halted by outside attacks. Automatic background clearing service works with full data shears (time changes array of balances, trades, depossits, withdrawals) and detects anomalies. Clearing can call panic in geolocation and route all funds to multisign & cold addresses.